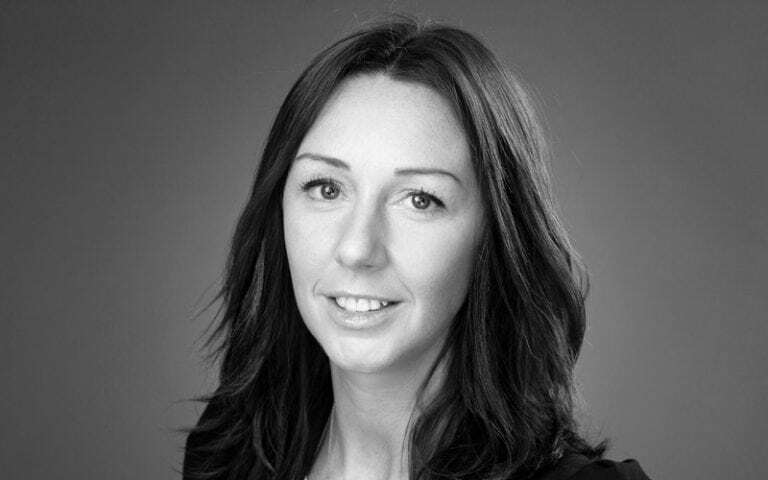 Noreen Curtin joins the Howgate Sable team this week, bringing with her almost 20 years’ experience in recruitment. Here, we get to know her a little better and find out just what made her take the plunge into executive search. Having grown up in Manchester, I went to university to study Law, with dreams of becoming the next Ally McBeal… However, after graduating, I took a completely different direction and began working in IT recruitment, both in smaller start-up practices and well established firms. I did that for nine years, working my way up from graduate trainee to senior recruiter. Having gained fundamental skills in search and selection within that sector, I saw an opportunity to more effectively develop the client relationship element of my role within HR recruitment, so made the switch. I worked for a few different companies during my 10 years operating within HR, the first of which saw me work with Mandy Turpin, who I now work with here at Howgate Sable. Mandy and I stayed in touch and she introduced me to this role, which really appealed to me as I was certainly ready to take the next step up into executive search and expand my expertise into different markets. Why are you so passionate about executive search? What inspired the move? I’ve worked in recruitment both on a contingent and retained basis for many years – ultimately becoming director of the Manchester office of a leading HR recruitment consultancy – and know that my strengths lie in establishing and nurturing relationships and building strong networks. I’m passionate about developing connections and being a trusted advisor to my client base, which is what executive search is all about, so it was a natural progression. The firm has a refreshingly straight-talking and honest approach, which I truly believe is changing the face of executive search. In order to survive in this industry, you have to be flexible and forward-thinking, which Howgate Sable undoubtedly is – I value it being a nimble, boutique practice, as opposed to a static, corporate animal that could perhaps stifle my growth. Not limiting itself to one sector also gives me the opportunity to branch out from HR and apply my skills in exciting new industries. Working with a client in a very specific sector who from the outset was extremely reticent to look outside of their industry to acquire the talent needed. The challenge was to change their mindset and convince them that it’s often transferrable skills and cultural fit that matter more than industry know-how. Needless to say, I placed the candidate – from an entirely different sector – successfully and they went on to make an outstanding contribution to the organisation’s success. I’d probably have gone with my original plan and be working at a law firm. I see a lot of similarities between law and my own profession, as it’s all based on relationships and providing an excellent service to clients. I wouldn’t say there’s a particular well-known company I’d be knocking on the door of, but that’s probably because I’m always keen to work with a variety of clients, be they entrepreneurial start-ups with real growth plans across the globe, or the most established organisations. I’ve always found that my function has the potential to be hugely influential in steering organisations in the right direction and bringing about change, growth and development. Current political and economic uncertainty has definitely hindered activity, with leaders struggling to make decisions. In-house recruitment teams are also growing and becoming more skilled, using social media to their advantage. Clients are also negotiating harder on terms and looking for more creative working models. However, particularly in executive search, building and maintaining relationships will remain key and those firms that are agile enough to adapt to different ways of working will prosper. I think there will be an increased emphasis on client and candidate relations, with feedback from both sides informing how working partnerships progress in order to secure repeat business. Advances in technology will always challenge the way we work, but I don’t think programmes or platforms like LinkedIn will alter the market as much as expected – such methods are superficial and faceless and are no replacement for a proper, deep understanding of a client’s business and what makes them tick. One of your particular specialisms is HR. How has HR developed during the time you’ve worked in search and are there any major issues affecting the industry? HR recruitment has changed dramatically over the last few years, becoming much more relationship-driven, with clients preferring to work more exclusively with those recruiters who truly understand the culture of the businesses they’re recruiting for. There has also been a gradual rise again of clients introducing RPO models to manage the resource function. When it comes to the North West, it’s always been challenging when recruiting at senior level due to the large number of headquarters being based outside of the region. As a result, a lot of the top talent are relocating or working away from home, which has encouraged the growth of flexible working. Nonetheless, with an increasing number of organisations moving to hubs like MediaCityUK, and such businesses recognising how instrumental the HR function is, the opportunity in sectors like retail, media and tech is growing and therefore growing and bringing it back to the North West. Due to the rise of entrepreneurial start-ups within the media, tech and retail sectors, and a rise in venture capital-backed businesses, we’re seeing the appointment of senior HR leaders into newly created posts. In these growing businesses, HR leaders are essential and instrumental in developing people strategies to aid with the continued growth of the wider business through implementing creative attraction, engagement and retention plans. I’d have to say Mandy here at Howgate Sable. She instilled in me the importance of relationships and now that I’m reunited with her and part of the wider team here, I feel galvanised and ready to expand my knowledge further. Nothing exciting to report on now, but watch this space! Without a doubt, when Donald Trump and Barack Obama met for the first time in the White House – who wouldn’t want to know what was said?! I know my market inside out and am a true specialist in my field. I’m passionate about finding the most talented candidates who fit well culturally – people who can make a discernible difference, no matter how long they stay in a post. It’s not just about the length of time somebody stays in a role; it’s about how productive and cost-effective they are with that time.